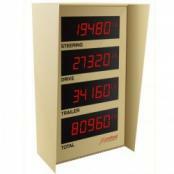 From a fog concealed truck scale, to the smoke and dust of a foundry or steel mill, our remote displays provide sharp, easy-to-read images of your critical weight process values. You’ll never experience wash-out in direct sunlight or lose visibility with our Laserlight or Laserlight M model. 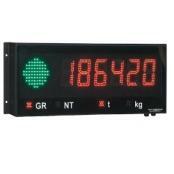 They feature bright, high-intensity display and non-glare lens are immediately visible. 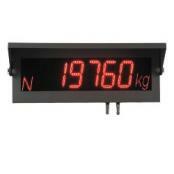 The RD-232 and RD-300 remote displays are compatible with a variety of digital weighing indicators and are available with several enclosure options including NEMA 4X FRP or stainless steel. 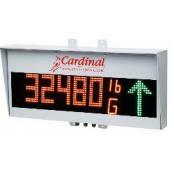 Cardinal Scale RD2X4 Quad DisplayCardinal Scale RD2X4 quad remote display provides readouts for multi-platform truck scales visible up to 150 feet away. 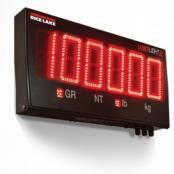 The RD2X4’s high-intensity LED display offers bright-red 2.25-inch-high digits that are easily visible even in direct sunlight. 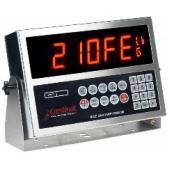 Ten brightness level settings let you select the exact intensity for the best visibility in your environment.